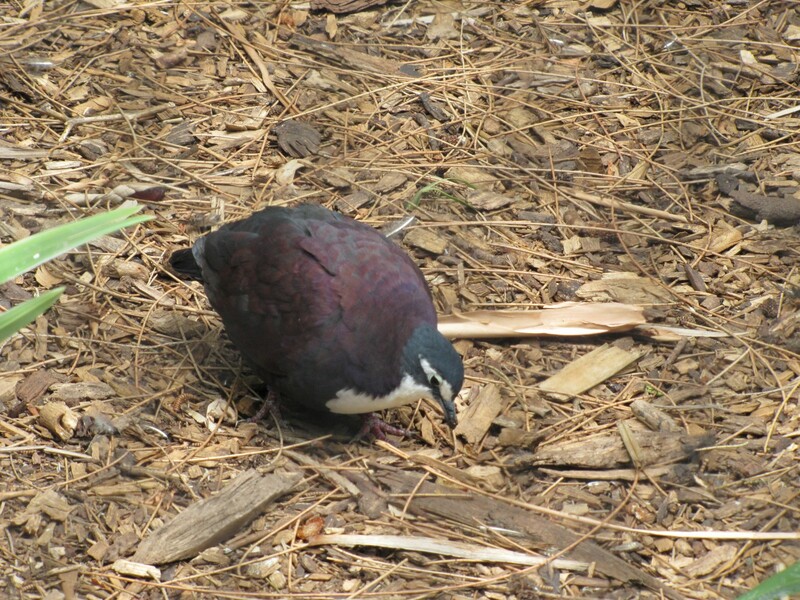 Today I feature another species I have not yet seen in its natural habitat, the White-breasted Ground Dove. Today’s photos were again taken in the Adelaide Zoo, South Australia. This zoo has an excellent bird collection on display. As this species is found in Papua New Guinea, a country I have yet to visit, it’s not surprising that I have not seen this bird in the wild. Visiting a zoo is not quite the same, but is a good way of seeing birds I may not otherwise get to see. 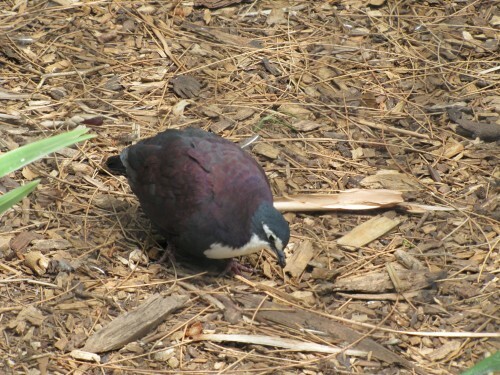 As the name suggests the White-breasted Ground Dove is a species that spends a lot of time feeding while on the ground. It eats seeds, berries and insects and can be found in the dense undergrowth of the rainforest. Sounds like it might be a bird hard to find in its natural habitat. 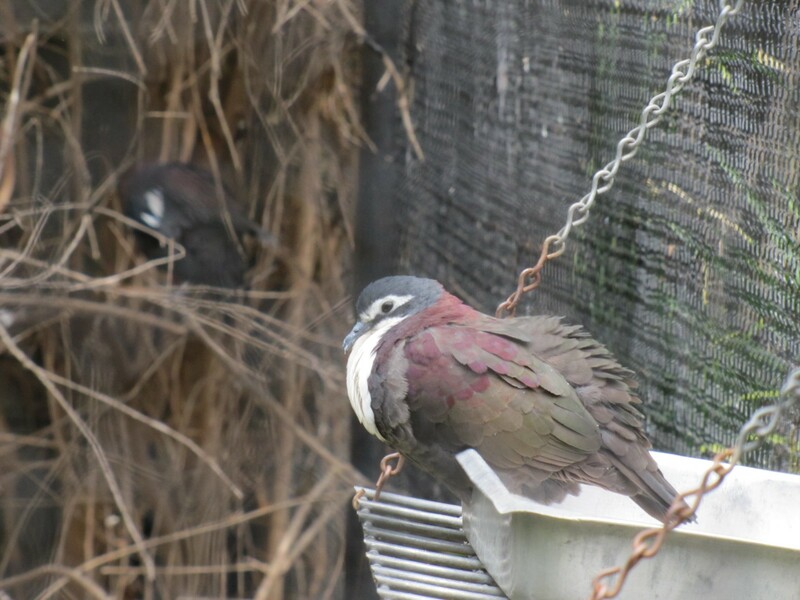 I’m not absolutely certain, but I think that the photo above shows a male, while the one below is of a female which has duller colours than the male.